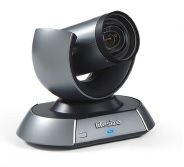 Lifesize® Camera 10x™ offers the highest quality zoom capability for any size office, conference room, meeting center or auditorium where Full HD quality video must be captured over a distance. To further advance image clarity and flexibility of use, Lifesize Camera 10x delivers immersive image quality in a wide range of light conditions, including low-light environments such as an executive boardroom or a large university lecture hall. 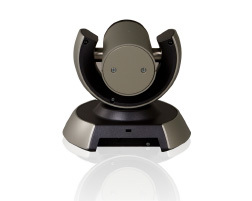 Lifesize Camera 10x is designed to support and enhance HD video communications by providing lifelike video quality through 10x optical zoom, better low-light handling in medium and large spaces and support for Full HD 1080p up to 60 frames per second. Lifesize Camera 10x, bundled with any of the Lifesize® 220™ or Lifesize® Icon™ Series offerings, perfectly captures every gesture and facial expression. It’s so detailed and true to life, it’s as if you are there.